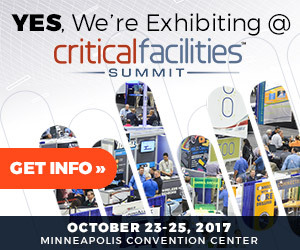 Permatron’s exhibit will feature the PreVent® System, simple power filters, during the 2017 Critical Facilities Summit being held at the Minneapolis Convention Center. October 23 – 25, 2017. Stop by Permatron’s Booth #514 to learn how PreVent air intake filters, custom made to fit on HVACR systems, compressors, process equipment and enclosures, will save you time and money! 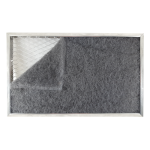 Permatron’s PreVent® system combines superior air intake protection filters with simple magnetic mounting to deliver a complete custom–fit solution to stop airborne debris before it ever gets inside HVAC louvers and vents. No drilling. No tools. Powerful MagnaMount® magnetic mounting means filters install quickly, with no equipment shutdown. 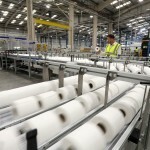 Provides years of improved system performance, savings on energy, maintenance and cleaning costs. Critical Facilities is an event for those responsible for designing, building, and operating critical facilities like data centers, hospitals, financial facilities and labs. For more information on the event, including the event schedule, conference program, exhibitor list, and travel information, please visit: www.criticalfacilitiessummit.com. Learn from leading authorities on data centers and mission critical facilities sharing their insights, case studies and best practices. Connect with leading providers of services and technologies. Network with your peers and pros – discuss your most challenging issues and get lots of actionable takeaways. Critical Facilities is the only event of its kind that focuses on data center and mission critical issues from the FM and design/build perspectives. No other conference offers you a comprehensive overview of what’s working now in the design, construction and management of data centers, hospitals, labs and other mission critical facilities.